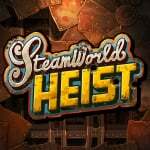 Image & Form has been running a series of SteamWorld Ambassador Challenges every two weeks, with lucky winners set to receive copies of SteamWorld Heist on all available platforms later this year. Contests so far have included designing hats for robots and thinking up witty one-liners, accommodating those with creative minds and artistic skills. The latest challenge can be tackled by anyone that spends a lot of time online, as it's focused on social media. The developers want your help to come up with clever campaigns for Twitter, YouTube and more besides, and with three categories that means there are three chances to win. The following details are directly from Image & Form, outlining the three separate parts of the challenge. 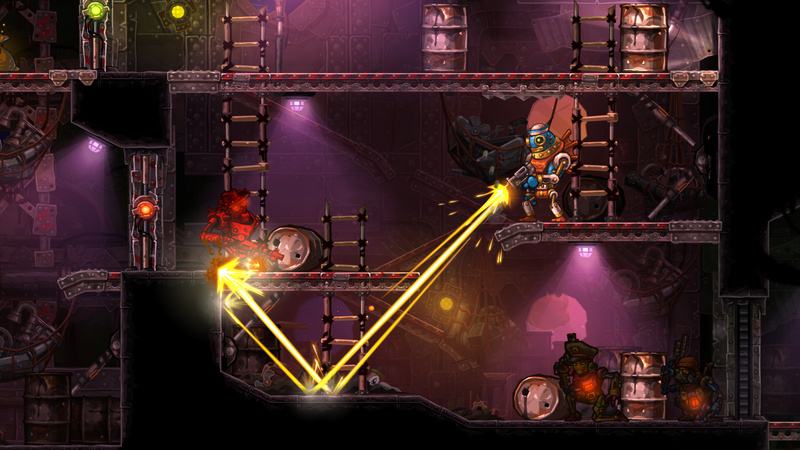 Hashtag for Twitter and Instagram: It should be a short and catchy one that really captures the feeling you get from the SteamWorld games and Image & Form. Make it personal and relatable. Like Nike's #justdoit and Red Bull's #givesyouwings. YouTube video series: Anything you would like to see on a regular basis. Your best other creative idea: Go wild! Want us to go on Snapchat, Pinterest or host weekly Twitch streams? You decide what you want us to do in this category." Will you be tackling this? Let us know, and be sure to check out the official blog for full details. These are fun. More developers need to have fun promotions like these. It would be nice to win one, but I doubt I will. I'll keep trying. Mostly just waiting for it to land at this point. What was the winning one liner from before? I keep getting more impressed with this game each time I see it. Every time I see these previews I just keep thinking it looks like Worms but indoors.